Bright blue skies, lovely sunshine... but ooooh it wasn't half cold up on Mount Gedling this morning. 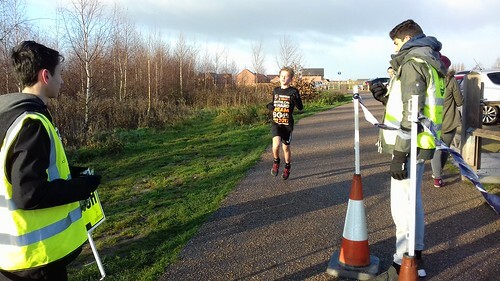 We welcomed 38 fabulous junior parkrunners including 1 brand new parkrunner (glad you came to join us, Alexander!) and despite it being frosty out there, 8 of you earned yourselves a PB... on the role of honour this week were Joshua, Sienna, Seb, Reece, Lucy, Fyfe, Tallyn and Kitty, didn't you all do well today! This morning's hi-vis heroes were awesome as ever. It was Nickesh's first time as run director for juniors and he did a great job - thanks, Nickesh! Thank you also to Sammy and Ewan on time keeping duty; Pete, Sam, Kelly, Jonathan, Sue, Allan, Sarah, Emma, Jenny, Tamsin and Richards who were marvellous marshals; Christopher and Felix who were brilliant at beeping barcodes; Jack and Martin who were fabulous at the finish funnel; Nic who tail walked tremendously; James who brought his own special skills to the loud hailer cheering everyone in; and me, Sarah, floating around supporting Nickesh on his first time as run director. If you fancy a go at volunteering, that would be awesome! None of the jobs are difficult and you'll be talked through what you need to do on parkrunday... so why not join us? 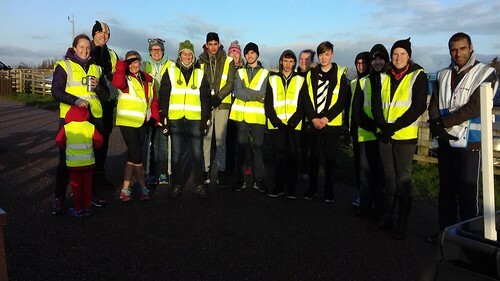 Email our volunteer co-ordinator Olivia at gedling-juniorshelpers@parkrun.com or stop by our Facebook page and let us know you'd like to help. It's a brilliant way to start your Sunday and there's nothing quite like giving out high fives to all of our juniors as they whizz past! Talking of brilliant, we had a fair few wristbands to give out this morning. 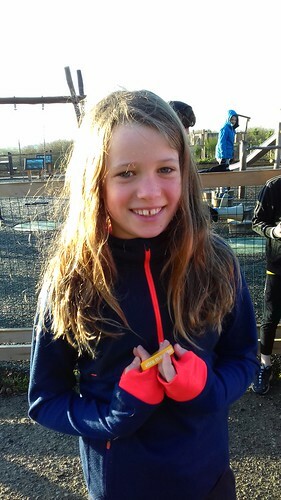 Heidi, Alice, Luke and Joshua all got their half marathon wristbands, while Effie and Libby earned the very impressive ultra marathon wristbands. Superb effort you guys! If you're due a wristband (11 runs for a half marathon wristband, 21 for a marathon and 50 for an ultramarathon) then just let the run director know and we'll make sure you're presented with it! 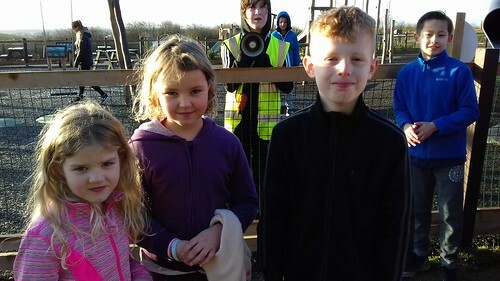 Congratulations to Joshua and Lucy for being our first finishers this morning... and a massive congratulations for all of our runners today who absolutely stormed into the finish funnel! The number of juniors I saw running so fast they almost didn't get a finish token... well, I lost count! 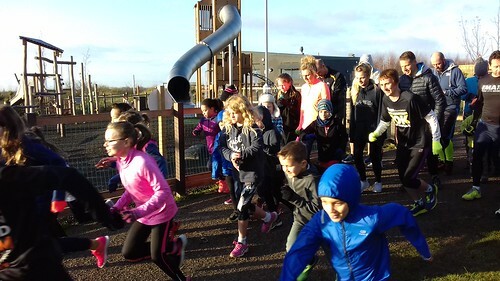 Olivia is in charge next week for our first run in December (which reminds me - we have a Christmas jumper juniors on Christmas Eve morning so tell your friends it'll be a really fun one!) and we're looking forward to it already! This entry was posted in Run Reports, The Notice Board, Uncategorized by gedlingjuniorsoffice. Bookmark the permalink. Event 150- 21st April 2019 – Easter!